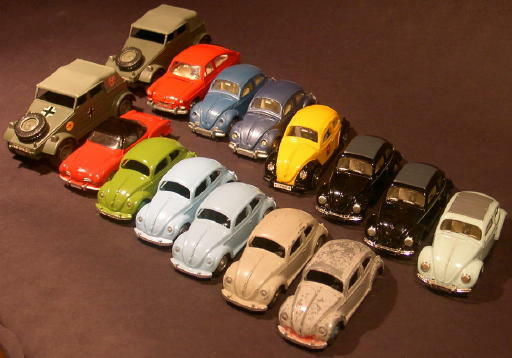 The Dinky Toys of Christiaan Boland - Don't touch! Then in 1996, when internet reached me (or I reached internet) and it all was still relatively tiny, I used a search machine to find Dinky Toys. I got two hits as I remember, one of a person in Florida wanting to sell off some Dinky Toys. We worked out a way to pay him and get the Dinky Toys via my Philips colleagues in the US to The Netherlands. During the following years internet and especially eBay and later Vectis came up and now I have over 600 models. As I have almost all military Dinky Toys I started to look at airplanes, boats. As I noticed the amount of Bedfords, these too became a collection target. Then for no reason, also ground movers and related tippers got my attention, for wich I'm still looking. Also kits, which I did not remember of my childhood: I've already all Dinky Toys kits and their originals. Finally a number of oddities completes the collection. In the meantime also online communities and forums have sprung up, Talkmodeltoys.com is the one I participate. 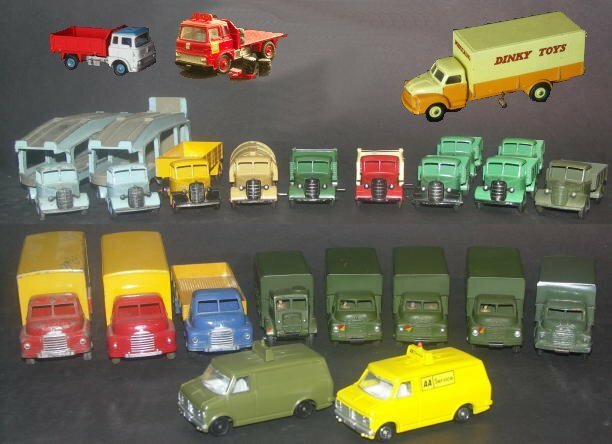 At www.boland-dinkytoys.com I show my collection.